Personal Umbrella Policies (http://www.rlipup.com) provide an extra layer of liability protection that goes above the coverage limits already provided by your homeowners and auto policies to protect your personal assets if you are the target of a lawsuit. Every year, millions of people are sued and the cost to defend oneself can amount to thousands or even millions of dollars. Having a Personal Umbrella Policy to cover the costs not covered by a homeowners, auto or other policy is beneficial when you are legally obligated or financially responsible for accident damages that exceed your policy limits. 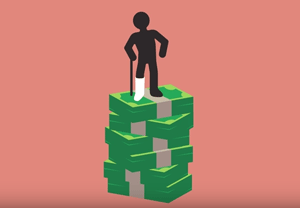 This video shares information on the importance of having a Personal Umbrella Policy and gives examples of unexpected accidents covered by a personal umbrella policy that could happen to anyone, at any given time, and why personal umbrella coverage is so important. At RLI, we want everyone to have the protection that our Personal Umbrella Policy provides, which is why we made ours different. RLI’s Personal Umbrella Policy is a stand-alone policy, which means we don’t require you to have your other personal insurance coverage with the same insurance company. Learn more by visiting http://www.rlipup.com.